Here's a little Superbowl inspired treat for you. I realize it's not a sweet, but it does have maple syrup in it and barbeque sauce, and bacon. Come on, you can't go wrong with bacon. Just so you know, I was not born into a sports loving family, not did I marry into one. The closest I get is every four years my husband watches World Cup Soccer and I may watch a game or two, but we are not fanatics about it. So Superbowl day is just another day for me. 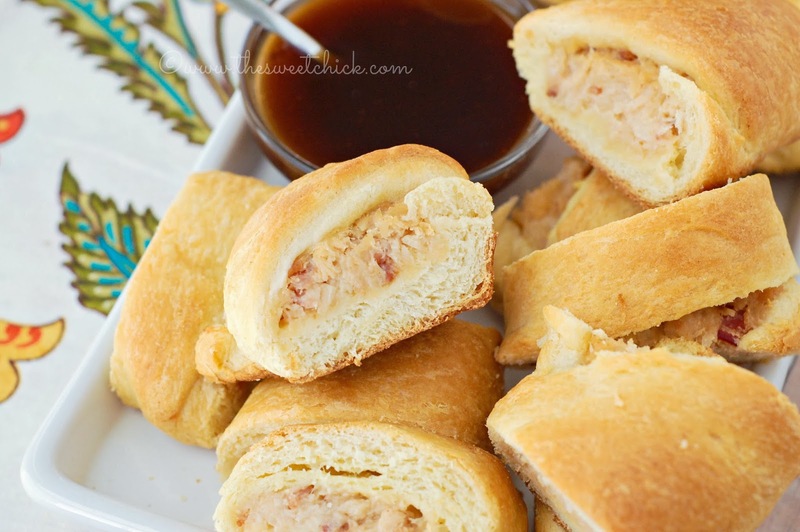 I just had this idea for a chicken appetizer and thought it would make a great game day snack for those that party it up. Apparently I didn't notice the bottle of mayo was upside down when I took the picture. Silly me! You can cook your bacon anyway you like, in the oven, in the microwave, or on the stove-top. You just need to chop it into little bits after it is cooked. As for the chicken, you can use fresh cooked chicken (about 2 cups), but I just used canned chicken. It doesn't taste that much different when cooked and it's a time-saver. 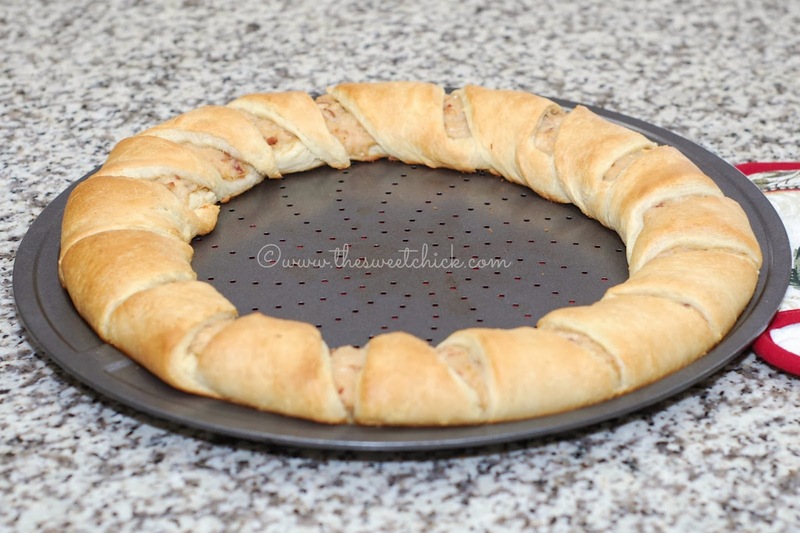 This recipe is based on the Pampered Chef Lemon Herb Chicken Ring I used to make all the time for parties. It's an easy recipe to make and adaptable. I used to make the ring on a round stone, but I got rid of my stoneware a while back, because I got tired of trying to clean it. Now I just use a perforated pizza pan. It works just as well. I lay out all the crescent triangles in a circle with each piece slightly overlapping, then I use a small roller to seal them together and stretch them out a bit. Then I spoon the filling onto the wider part of the triangles and spread it out evenly with a spatula. Next I started tucking the points of the triangles in towards the center of the ring and under the wide part of the triangles. Not all the filling will be covered by the crescent rolls. In the end, you should have a nice crescent wreath. After it is baked, it will be a nice golden color. You need to let it cool off a bit before you cut it up into appetizer sized portions. See all those bits of bacon. Nom, Nom! It tastes great just as is, but I wanted to make a dipping sauce to go along with it. 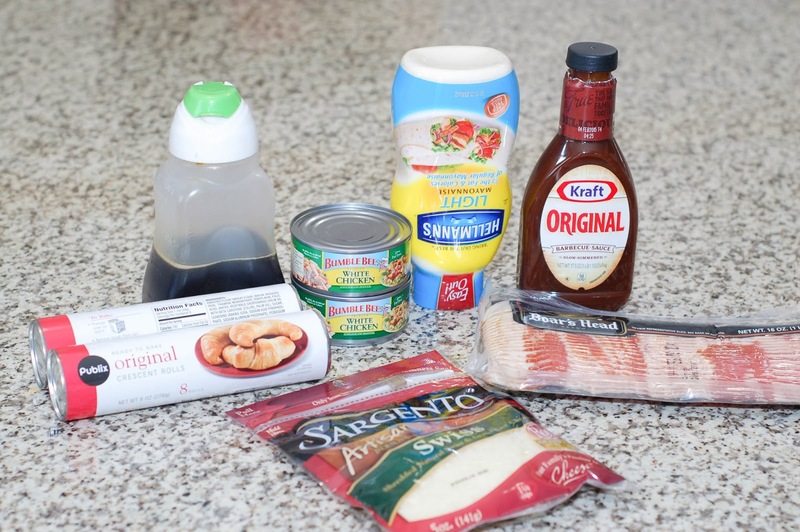 I used the same barbeque sauce and maple syrup that I used in the ring to make the sauce. The maple syrup really enhanced the flavor of the barbeque sauce, especially the smoky flavor. I can see this sauce poured over quite a few dishes. I only made a little bit of sauce for dipping or drizzling over each slice. If you are going to slather it on, I suggest doubling the sauce recipe. 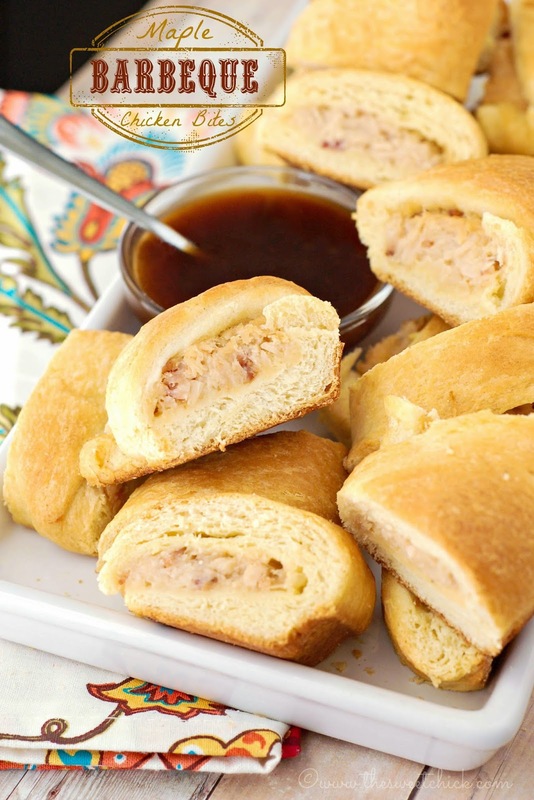 My husband and daughter really enjoyed these Maple Barbeque Chicken Bites with the dipping sauce. We ended up having them for dinner. I had placed them in the fridge this afternoon and just warmed them back up in the oven before serving. I even warmed up the sauce a little in the microwave. Ooh, it's so delightfully tangy and sweet. A perfect compliment to the Chicken Bites. Bacon, chicken, barbeque sauce, and maple syrup, my new favorite flavor combination. 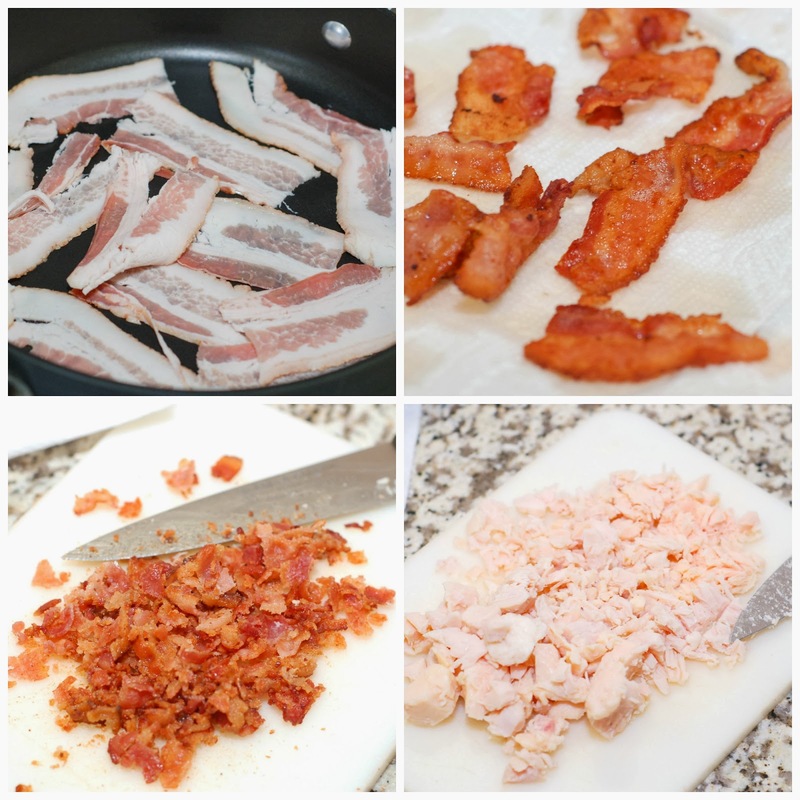 Finely chop the cooked bacon and chicken. Place them in a medium size bowl. Add shredded cheese, mayonnaise, maple syrup, and barbecue sauce. Mix by hand until well blended. 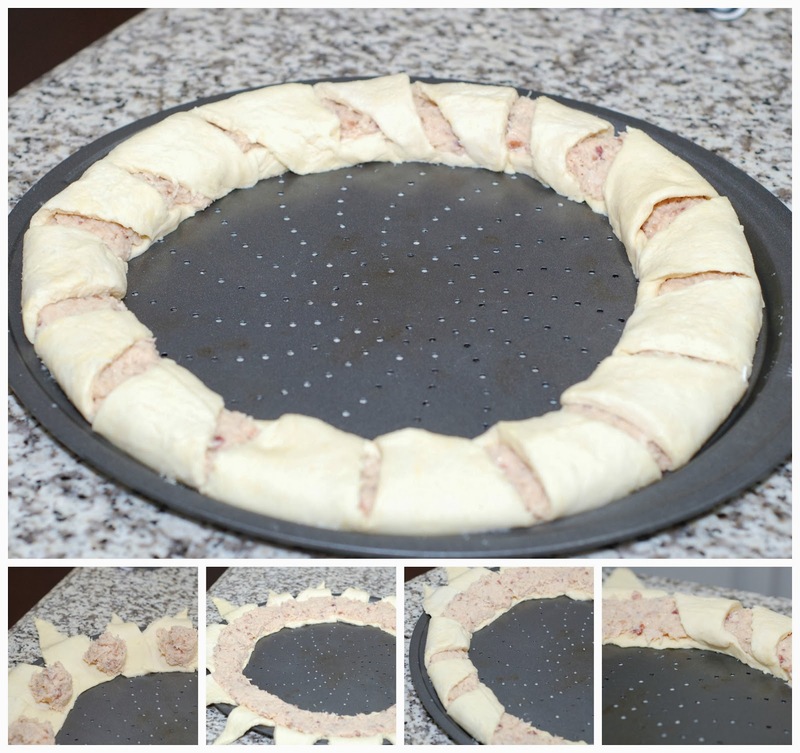 On a round pizza stone or pizza pan, arrange crescent triangles in a circle with wide ends overlapping in the center and points toward the outside. With a small roller, or by hand gently flatten out the wide ends and seal the overlapping pieces together. Spoon the chicken mixture onto the widest end of the triangles and spread evenly with a spatula. 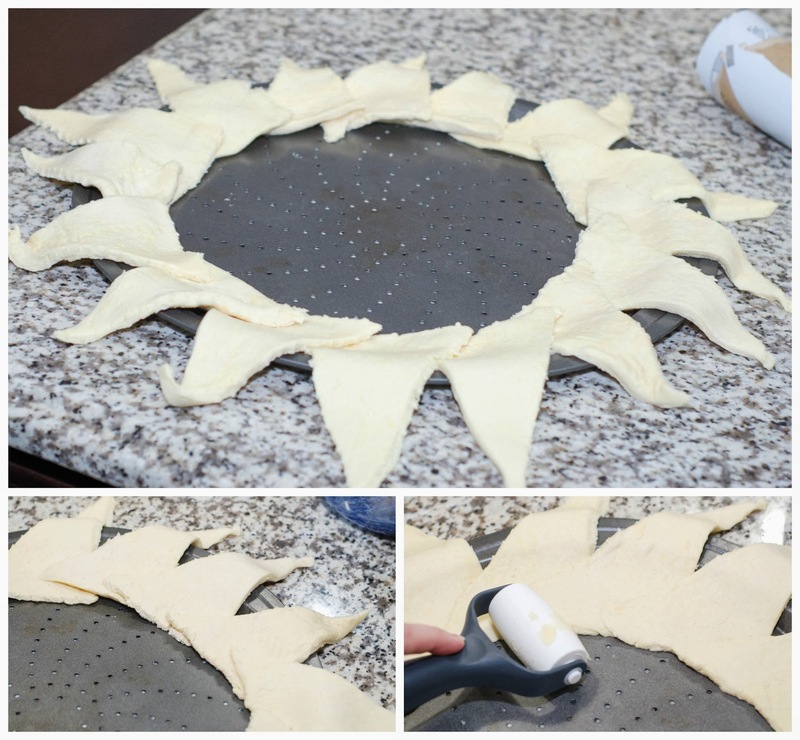 Place in oven and bake for 15 minutes or until crescents are golden brown. Remove from oven and let cool a few minutes before cutting into appetizer sized pieces. Serve warm. 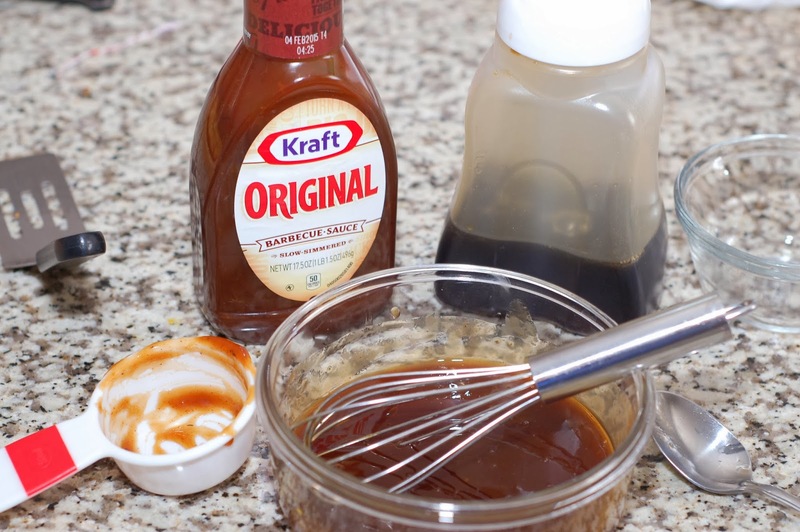 Whisk together the barbecue sauce and maple syrup until well blended. Serve room temperature or slightly warm. It really is easy and it tastes good. 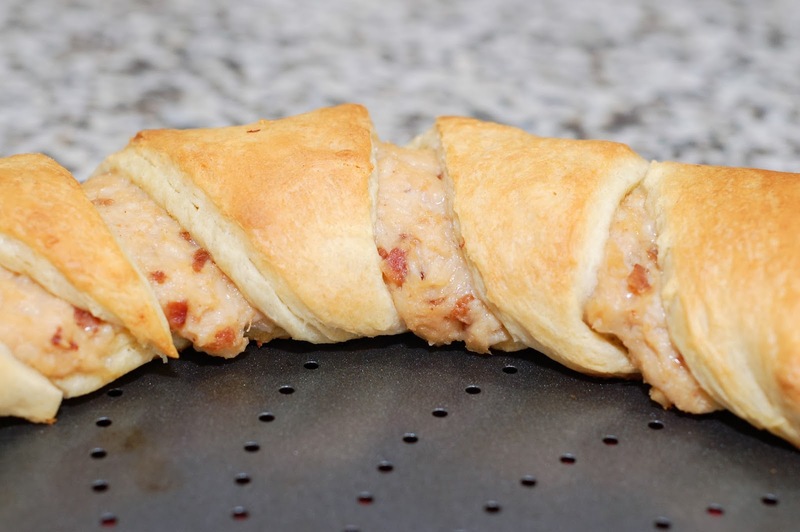 Great for dinner, a snack, or a party.